GREAT MILES 21,745! FUEL EFFICIENT 32 MPG Hwy/27 MPG City! Soul Red Metallic exterior and Black interior. CD Player, iPod/MP3 Input, Keyless Start, Onboard Communications System, Alloy Wheels, SOUL RED METALLIC PAINT, BackUp Camera, All Wheel Drive, Edmunds.com's review says The 2016 CX-3's cabin shows excellent execution overall, with high-quality materials and a sleek dashboard that conveys style and sophistication. READ MORE! WHY BUY FROM US Ray Skillman Westside Auto Mall has been in the automotive business in the Indianapolis and Speedway area since 2006. Ray Skillman has happily served the Indianapolis area since 1980. Our 4 dealerships stock a large selection of Hyundai, Kia, Mazda, and Mitsubishi vehicles, as well as pre-owned models from a variety of manufacturers. Our many years as a premier auto group in the region have helped us understand exactly what our customers are looking for and provide an experience that exceeds all OPTION PACKAGES Pricing analysis performed on 3/27/2019. Fuel economy calculations based on original manufacturer data for trim engine configuration. EPA 30 MPG Hwy/23 MPG City! ONLY 22,147 Miles! LX trim, Hyper Red exterior and Black interior. iPod/MP3 Input, Bluetooth, CD Player, Alloy Wheels, BackUp Camera, Satellite Radio, Edmunds.com's review says Passenger space and comfort are outstanding for this size class. Even with a 6-footer in the driver seat, another 6-footer can sit immediately astern without issue, and he or she will enjoy ample thigh support.. CLICK NOW! WHY BUY FROM US Ray Skillman Westside Auto Mall has been in the automotive business in the Indianapolis and Speedway area since 2006. Ray Skillman has happily served the Indianapolis area since 1980. Our 4 dealerships stock a large selection of Hyundai, Kia, Mazda, and Mitsubishi vehicles, as well as pre-owned models from a variety of manufacturers. Our many years as a premier auto group in the region have helped us understand exactly what our customers are looking for and provide an experience that exceeds all Fuel economy calculations based on original manufacturer data for trim engine configuration. Serviced here, 110 Point Inspection, Orginally Purchased at Ray Skillman, Excellent Condition, ONLY 9,198 Miles! PRICE DROP FROM $21,990, FUEL EFFICIENT 33 MPG Hwy/26 MPG City! PRICED TO MOVE $2,300 below NADA Retail! Sport trim. Heated Leather Seats, Navigation, Moonroof, Cross-Traffic Alert, Blind Spot Monitor, BackUp Camera, SPORT PREMIUM PACKAGE 03, Aluminum Wheels, Turbo Charged, Serviced here, 110 Point Inspection, Orginally Purchased at Ray Skillman. READ MORE! WHY BUY FROM US Ray Skillman Westside Auto Mall has been in the automotive business in the Indianapolis and Speedway area since 2006. Ray Skillman has happily served the Indianapolis area since 1980. Our 4 dealerships stock a large selection of Hyundai, Kia, Mazda, and Mitsubishi vehicles, as well as pre-owned models from a variety of manufacturers. Our many years as a premier auto group in the region have helped us understand exactly what our customers are looking for and provide an experience that exceeds all OPTION PACKAGES SPORT PREMIUM PACKAGE 03 Option Group 06, Radio: AM/FM/HD/SiriusXM Infinity Premium Audio, AVN 4.0 navigation system w/8-inch color touch-screen, 8 speakers including center channel and subwoofer, Clari-fi Music Restoration technology, Android Auto, Apple CarPlay, Bluetooth hands-free phone system w/voice recognition, iPod/USB/MP3 auxiliary input jacks, dual USB charging, Blue Link (Gen 2) and speed-sensitive automatic volume control, SiriusXM Data Services: NavTraffic, NavWeather and Sports and Stocks (3-month trial), Dual Automatic Temperature Control w/Auto Defogger, Blue Link Connected Car System. EXPERTS ARE SAYING Edmunds.com explains The Elantra is quiet, with comfortable front seats and an above-average ride quality.. Pricing analysis performed on 4/8/2019. Fuel economy calculations based on original manufacturer data for trim engine configuration. LOW MILES - 22,425! Deep Crystal Blue Mica exterior and Sand/Parchment interior, CX-5 Touring trim. REDUCED FROM $21,990!, FUEL EFFICIENT 33 MPG Hwy/26 MPG City! Navigation, Heated Seats, Blind Spot Monitor, Keyless Start, Smart Device Integration, Cross-Traffic Alert, BackUp Camera, Alloy Wheels, iPod/MP3 Input, Onboard Communications System, CD Player, Pre-Owned Certified. CLICK ME! KEY FEATURES INCLUDE Navigation, Heated Driver Seat, BackUp Camera, iPod/MP3 Input, CD Player, Onboard Communications System, Aluminum Wheels, Keyless Start, Blind Spot Monitor, Cross-Traffic Alert, Smart Device Integration, Heated Seats Rear Spoiler, MP3 Player, Privacy Glass, Remote Trunk Release, Keyless Entry. Mazda CX-5 Touring with Deep Crystal Blue Mica exterior and Sand/Parchment interior features a 4 Cylinder Engine with 184 HP at 5700 RPM*. Pre-Owned Certified. EXCELLENT VALUE Was $21,990. 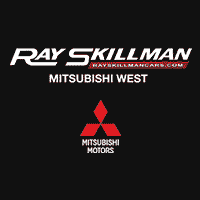 MORE ABOUT US Ray Skillman Westside Auto Mall has been in the automotive business in the Indianapolis and Speedway area since 2006. Ray Skillman has happily served the Indianapolis area since 1980. Our 4 dealerships stock a large selection of Hyundai, Kia, Mazda, and Mitsubishi vehicles, as well as pre-owned models from a variety of manufacturers. Our many years as a premier auto group in the region have helped us understand exactly what our customers are looking for and provide an experience that exceeds all Pricing analysis performed on 4/9/2019. Horsepower calculations based on trim engine configuration. Fuel economy calculations based on original manufacturer data for trim engine configuration. Please confirm the accuracy of the included equipment by calling us prior to purchase. Snow White Pearl exterior and Beige interior, EX trim. GREAT MILES 37,443! FUEL EFFICIENT 35 MPG Hwy/24 MPG City! Nav System, Heated Leather Seats, Moonroof, Keyless Start, CD Player, Hands-Free Liftgate, Dual Zone A/C, Aluminum Wheels, PREMIUM PACKAGE, Satellite Radio, Bluetooth, iPod/MP3 Input. AND MORE! WHY BUY FROM US Ray Skillman Westside Auto Mall has been in the automotive business in the Indianapolis and Speedway area since 2006. Ray Skillman has happily served the Indianapolis area since 1980. Our 4 dealerships stock a large selection of Hyundai, Kia, Mazda, and Mitsubishi vehicles, as well as pre-owned models from a variety of manufacturers. Our many years as a premier auto group in the region have helped us understand exactly what our customers are looking for and provide an experience that exceeds all OPTION PACKAGES PREMIUM PACKAGE Heated & Ventilated Front Seats, Blind Spot Detection, Rear Cross Traffic Alert, Auto Dimming Rear View Mirror, Rear Parking Assist System, LED Overhead Front & Rear Reading Lamps, 8 Navigation System, TMU, SiriusTraffic and UVO eServices w/Premium Navigation, Rear Camera Display, 10-Way Power Front Passenger Seat, 2-way power adjustable lumbar, Panoramic Sunroof. EXPERTS ARE SAYING KBB.com explains If you're looking for a good midsize-sedan value, one with plenty of modern features, sharp styling, good driving dynamics, and a roomy interior â€“ y'know, the works â€“ then the 2016 Kia Optima hits all the right buttons.. Fuel economy calculations based on original manufacturer data for trim engine configuration. Kia Certified, ONLY 15,906 Miles! L trim. FUEL EFFICIENT 28 MPG Hwy/21 MPG City! iPod/MP3 Input, Bluetooth, CD Player, Aluminum Wheels, BackUp Camera, Satellite Radio, Edmunds.com's review says The Sorento has one of the most refined rides of any non-luxury-brand crossover. Impacts are well-cushioned yet ride motions remain disciplined. This Kia glides serenely over patchy pavement, giving it a distinctly premium feel. SEE MORE! WHY BUY FROM US Ray Skillman Westside Auto Mall has been in the automotive business in the Indianapolis and Speedway area since 2006. Ray Skillman has happily served the Indianapolis area since 1980. Our 4 dealerships stock a large selection of Hyundai, Kia, Mazda, and Mitsubishi vehicles, as well as pre-owned models from a variety of manufacturers. Our many years as a premier auto group in the region have helped us understand exactly what our customers are looking for and provide an experience that exceeds all BUY WITH CONFIDENCE 10-year/100,000-mile limited powertrain warranty, 150-point vehicle inspection, 10-year/unlimited mileage roadside assistance, 12 months / 12,000 miles of Platinum Comprehensive coverage, Vehicle history report, Towing/rental car/ travel coverage Pricing analysis performed on 4/8/2019. Fuel economy calculations based on original manufacturer data for trim engine configuration. Kia Certified. EX trim, Burnished Copper exterior and Black interior. EPA 25 MPG Hwy/21 MPG City! Heated Leather Seats, Keyless Start, Bluetooth, Smart Device Integration, Dual Zone A/C, All Wheel Drive, Aluminum Wheels, BackUp Camera, iPod/MP3 Input, Satellite Radio. READ MORE! WHY BUY FROM US Ray Skillman Westside Auto Mall has been in the automotive business in the Indianapolis and Speedway area since 2006. Ray Skillman has happily served the Indianapolis area since 1980. Our 4 dealerships stock a large selection of Hyundai, Kia, Mazda, and Mitsubishi vehicles, as well as pre-owned models from a variety of manufacturers. Our many years as a premier auto group in the region have helped us understand exactly what our customers are looking for and provide an experience that exceeds all PURCHASE WITH CONFIDENCE 10-year/100,000-mile limited powertrain warranty, 150-point vehicle inspection, 10-year/unlimited mileage roadside assistance, 12 months / 12,000 miles of Platinum Comprehensive coverage, Vehicle history report, Towing/rental car/ travel coverage EXPERTS REPORT Passenger space and comfort are outstanding for this size class. Even with a 6-footer in the driver seat, another 6-footer can sit immediately astern without issue, and he or she will enjoy ample thigh support. -Edmunds.com. Pricing analysis performed on 2/26/2019. Fuel economy calculations based on original manufacturer data for trim engine configuration. Platinum Graphite exterior and Black interior, S trim. FUEL EFFICIENT 33 MPG Hwy/24 MPG City! Moonroof, Lane Keeping Assist, Smart Device Integration, Dual Zone A/C, Cross-Traffic Alert, Hands-Free Liftgate, Blind Spot Monitor, Keyless Start, BackUp Camera, Aluminum Wheels, S PANORAMIC SUNROOF PACKAGE, Onboard Communications System, iPod/MP3 Input, Satellite Radio. CLICK ME! WHY BUY FROM US Ray Skillman Westside Auto Mall has been in the automotive business in the Indianapolis and Speedway area since 2006. Ray Skillman has happily served the Indianapolis area since 1980. Our 4 dealerships stock a large selection of Hyundai, Kia, Mazda, and Mitsubishi vehicles, as well as pre-owned models from a variety of manufacturers. Our many years as a premier auto group in the region have helped us understand exactly what our customers are looking for and provide an experience that exceeds all OPTION PACKAGES S PANORAMIC SUNROOF PACKAGE LED Overhead Front & Rear Reading Lights, Panoramic Sunroof. Fuel economy calculations based on original manufacturer data for trim engine configuration. Platinum Graphite exterior and Burgundy interior, SX-L trim. ONLY 53,171 Miles! Sunroof, NAV, Heated Leather Seats, 3rd Row Seat, Rear Air, Heated Rear Seat, Power Liftgate, SXL TECHNOLOGY PACKAGE, Alloy Wheels, Quad Seats, Edmunds.com's review says The Insurance Institute for Highway Safety awarded the 2015 Sedona its highest rating of Good across the board, making it one of the agency's Top Safety Pick winners.. CLICK NOW! WHY BUY FROM US Ray Skillman Westside Auto Mall has been in the automotive business in the Indianapolis and Speedway area since 2006. Ray Skillman has happily served the Indianapolis area since 1980. Our 4 dealerships stock a large selection of Hyundai, Kia, Mazda, and Mitsubishi vehicles, as well as pre-owned models from a variety of manufacturers. Our many years as a premier auto group in the region have helped us understand exactly what our customers are looking for and provide an experience that exceeds all OPTION PACKAGES SXL TECHNOLOGY PACKAGE Advanced Smart Cruise Control, Forward Collision Warning, Unique Xenon HID Lights w/Auto-Leveling, smart high-beam, Lane Departure Warning, Surround View Monitor. Auto Check One Owner! GREAT MILES 29,996! FUEL EFFICIENT 30 MPG Hwy/24 MPG City! CX-5 Grand Touring trim, JET BLACK MICA exterior and PARCHMENT interior. Navigation, Heated Leather Seats, Moonroof, Premium Sound System, Satellite Radio, iPod/MP3 Input, Aluminum Wheels, GRAND TOURING TECHNOLOGY PACKAGE, BackUp Camera, All Wheel Drive. READ MORE! WHY BUY FROM US Ray Skillman Westside Auto Mall has been in the automotive business in the Indianapolis and Speedway area since 2006. Ray Skillman has happily served the Indianapolis area since 1980. Our 4 dealerships stock a large selection of Hyundai, Kia, Mazda, and Mitsubishi vehicles, as well as pre-owned models from a variety of manufacturers. Our many years as a premier auto group in the region have helped us understand exactly what our customers are looking for and provide an experience that exceeds all OPTION PACKAGES GRAND TOURING TECHNOLOGY PACKAGE Auto Dimming Rearview Mirror w/HomeLink, LED Foglights, Smart City Brake Support System, LED Signature Rear Combination Lights, LED Headlights, Pivoting Adaptive Front Lighting System (AFS), auto leveling and high and low beam, LED Signature Daytime Running Lights, Mazda Navigation System. EXPERTS CONCLUDE Edmunds.com explains With its spacious, functional interior, impressive fuel economy and top safety scores, the 2016 Mazda CX-5 is a top pick among small crossovers. The CX-5's fun-to-drive demeanor is just a welcome bonus.. Fuel economy calculations based on original manufacturer data for trim engine configuration. SX trim, Snow White Pearl exterior and Satin Black interior. FUEL EFFICIENT 26 MPG Hwy/18 MPG City! Sunroof, Navigation, Heated/Cooled Leather Seats, 3rd Row Seat, Rear Air, Alloy Wheels, Panoramic Roof, Power Liftgate, KBB.com explains The 6-speed automatic transmission is as smooth and unobtrusive as you could hope for, and the suspension never called attention to itself for being too harsh or too soft.. READ MORE! WHY BUY FROM US Ray Skillman Westside Auto Mall has been in the automotive business in the Indianapolis and Speedway area since 2006. Ray Skillman has happily served the Indianapolis area since 1980. Our 4 dealerships stock a large selection of Hyundai, Kia, Mazda, and Mitsubishi vehicles, as well as pre-owned models from a variety of manufacturers. Our many years as a premier auto group in the region have helped us understand exactly what our customers are looking for and provide an experience that exceeds all Fuel economy calculations based on original manufacturer data for trim engine configuration. SX trim, Titanium Silver exterior and Satin Black interior. Sunroof, NAV, Heated Leather Seats, 3rd Row Seat, Power Liftgate, Rear Air, Panoramic Roof, ELECTROCHROMATIC MIRROR W/HOMELINK AN. Alloy Wheels, All Wheel Drive, KBB.com's review says The 6-speed automatic transmission is as smooth and unobtrusive as you could hope for, and the suspension never called attention to itself for being too harsh or too soft.. READ MORE! WHY BUY FROM US Ray Skillman Westside Auto Mall has been in the automotive business in the Indianapolis and Speedway area since 2006. Ray Skillman has happily served the Indianapolis area since 1980. Our 4 dealerships stock a large selection of Hyundai, Kia, Mazda, and Mitsubishi vehicles, as well as pre-owned models from a variety of manufacturers. Our many years as a premier auto group in the region have helped us understand exactly what our customers are looking for and provide an experience that exceeds all OPTION PACKAGES ELECTROCHROMATIC MIRROR W/HOMELINK AND COMPASS. Pre-owned vehicle pricing includes all offers and incentives. Tax, Title and Tags not included in vehicle prices shown and must be paid by the purchaser. While great effort is made to ensure the accuracy of the information on this site, errors do occur so please verify information with a customer service rep. This is easily done by calling us at (317) 293-8060 or by visiting us at the dealership.